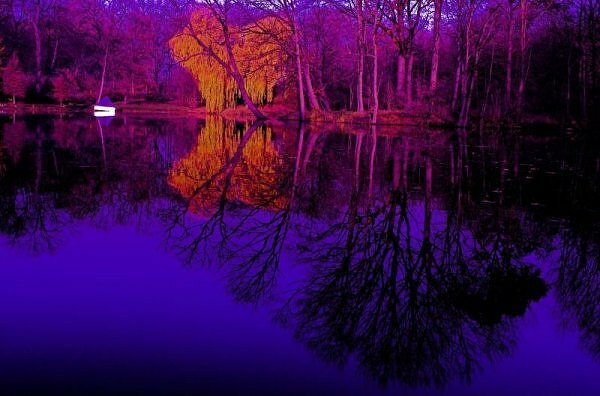 Color is how the human eye perceives the reflection of different spectrums of light. 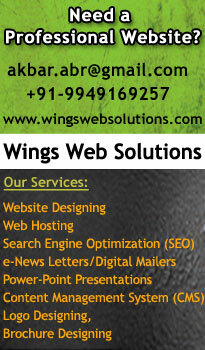 We perceive color just as we perceive taste: sublime, exquisite, horrible and delicious. It provokes us, it enchants us and our whole world revolves around it. Everything from the clothes we wear, to the foods we eat are determined by color. 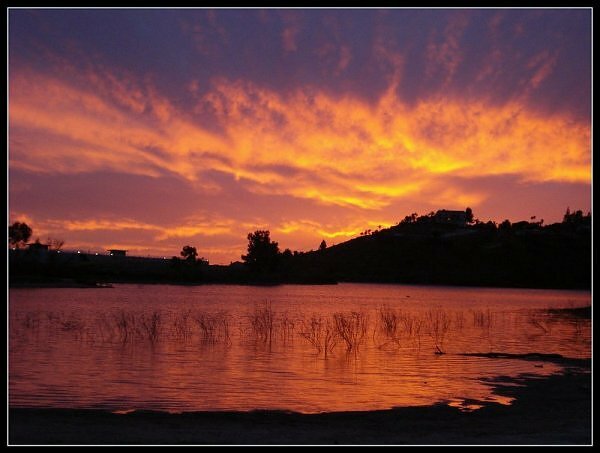 It’s only fitting then, that we explore some of Mother Nature’s most colorful works.The kaleidoscope of colors presented in this series of spectacular lake images, encapsulate the incredible natural beauty of enclosed expanses of water. 1. 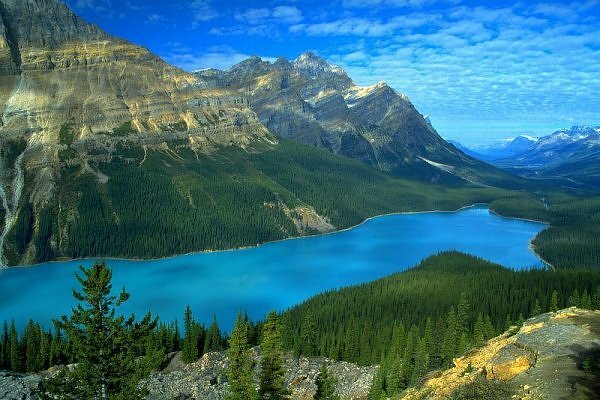 The blue hues captured in this stunning photograph of Peyto Lake in Banff National Park, Alberta, Canada, show just how awesome the natural world can be. 2. A lake with no name in Berlin. We’re not sure if the image is ’shopped’ or not but the result is still pretty spectacular. 3. Wonderful orange and purple skies over Lake Murray, South Carolina, at sunset. 4. 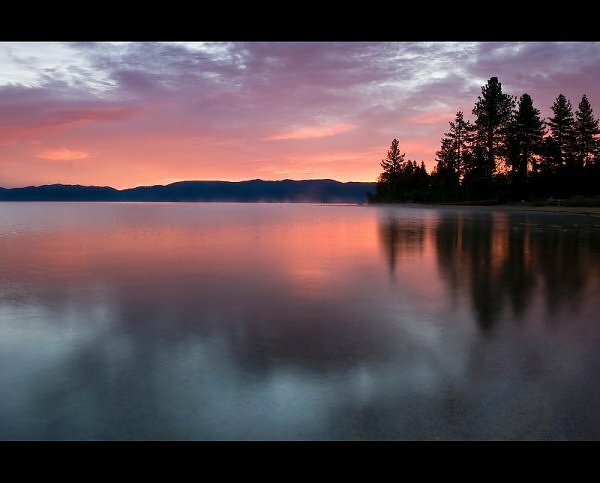 Purple and blue skies at sunset over Lake Tahoe, California/Nevada. 5. This amazing shot was taken near Uyuni, Bolivia. The dark green waters are so calm the mountains are reflected perfectly. 6. 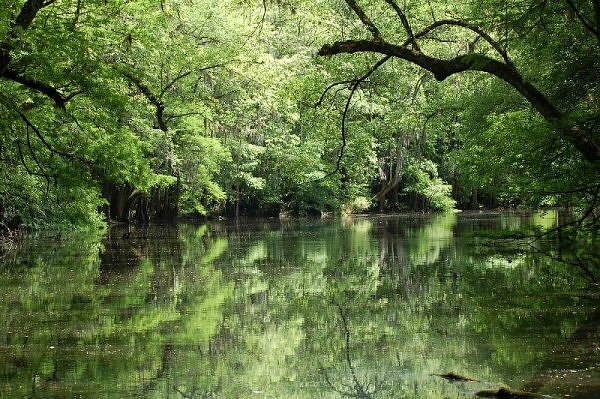 Wise Lake turned green from overhanging trees at Congaree National Park in South Carolina. 7. 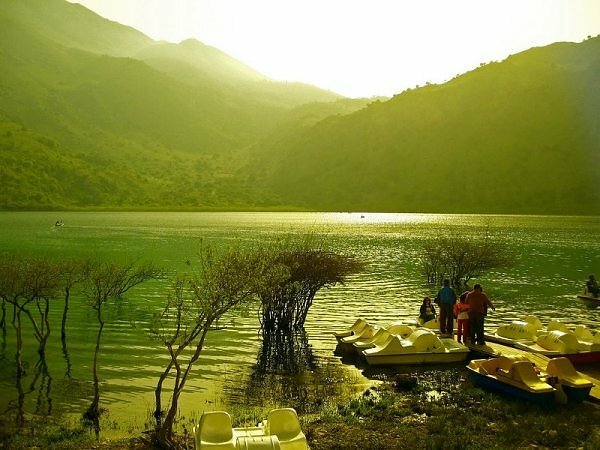 A cleverly placed sunglasses lens in front of the camera turns Kournas Lake in Crete an interesting green co lour. 8. 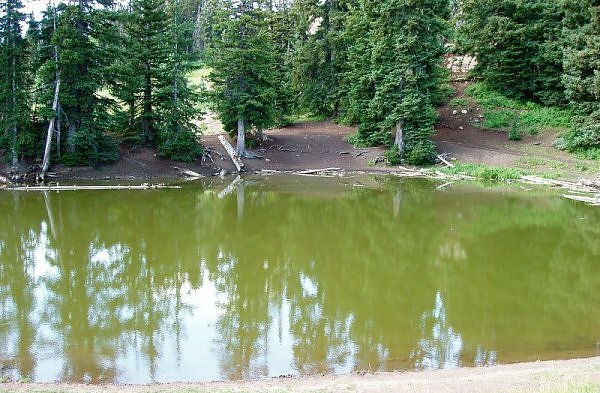 A lime green colored lake at Mill Hollow in the Unita Forest is actually named Yellow Lake. 9. Wonderful shot of a large salt lake, Uyuni, Bolivia. 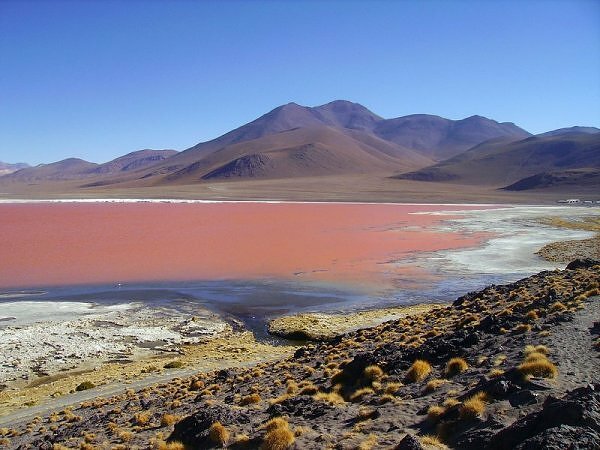 The red colour is caused by astronomical numbers of microscopic, unicellular organisms living in the water and salt crust. 10. 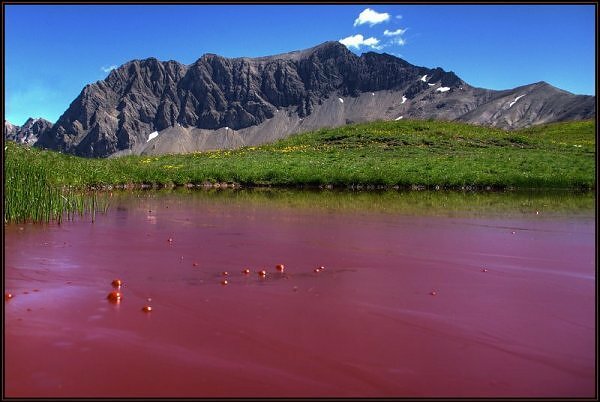 A deep red lake at Sanetsch Pass, Switzerland. 11. 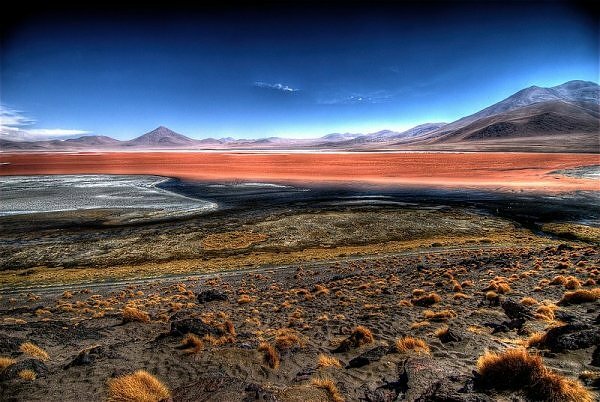 Red Lake at Uyuni salt plains, Bolivia. 12. 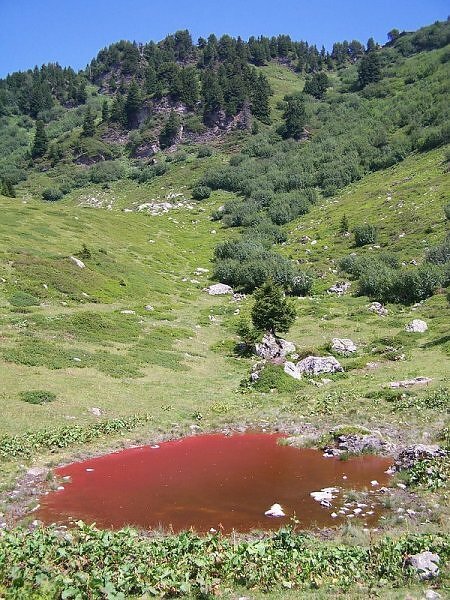 Another red lake near Albertville in the French Alps. 13. 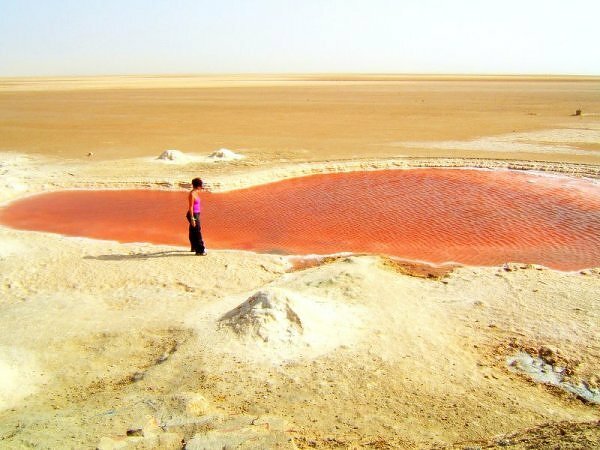 Red salt lake, Tunisia. How the bacteria survive in the intense desert heat is truly amazing.